A special-needs student was injured Monday afternoon after a group of children threw chunks of cement at her school bus in Philadelphia, police told NBC10. According to police, the school bus was traveling on 47th and Aspen streets when a group of six kids threw two chunks of cement at the bus. 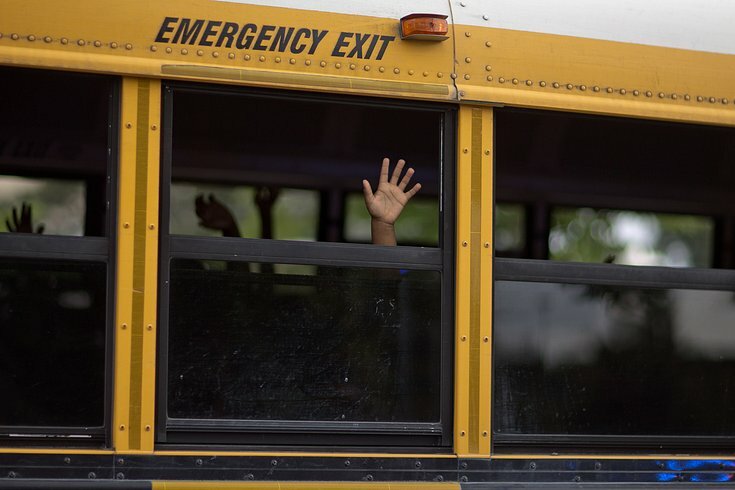 One of the chunks smashed through a window and injured Courtney Clancy, one of nine students with special needs who were on board the bus from the School of the Future in Philadelphia, police said. "Her face is all bleeding," her mother, Gina Clancy, told NBC10. "She has blood on her wrists, plus on her arms. And she had glass in her eyes." She was taken to Presbyterian Hospital to be treated. "I can't see out of one eye," Courtney Clancy told NBC10 as she was released from the hospital Monday night. She will need to return to the hospital on Tuesday, as doctors fear she could have more glass in her eye. Surveillance video captured the kids throwing the cement, according to police. Those with any information on the incident are encouraged to call Philadelphia police at (215) 686-TIPS.